In the Loft, you will stay totally undisturbed and enjoy the private atmosphere in this secluded apartment for two with a living space of 250 square metres, surrounded by a charming hilly landscape. You will be swathed in the sophisticated ambience of the modern Loft, which was formerly used as stable. AlphaSphere has been designed to help unwind, calm down, shake off everything and dive into full relaxation, which seemingly will make you transcend into another world. The unique AlphaSphere concept provides an outstanding experience including very special aesthetic perceptions. The interaction of heat, vibrations, colours, design, light and sound wipes out the notion of space and time. AlphaSphere provides an extraordinary combination of deep relaxation and pleasant invigoration. Our butler service, which is available upon request, meets even highest requirements of discerning guests. Your personal butler or maid will anticipate any of your wishes. Culinary delights are guaranteed, whether you opt for a private dinner, prepared by the Landlady Barbara a candle light dinner in the rose pavillion on the lavender hill, for a cozy evening with a VEUVE CLICQUOT enjoyment package in the Champagne Lounge, or for a gourmet picnic in a secluded cosy spot, would like to have a barbecue with friends or prefer to enjoy a meal on the terrace of a cosy rustic wine tavern (“Buschenschank”). The Loft with a panoramic view over the hills of Southern Styria is a great place for new inspiration and can be booked for small meetings, weddings and events. Also in combination with a private dining by Barbara, a wine tasting in our wine cellar or individual catering services. 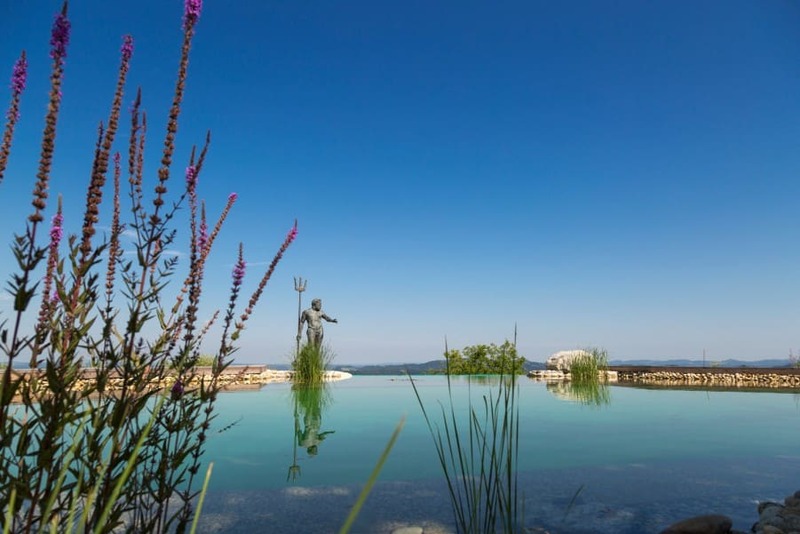 In addition, the loft with the 200 m² natural swimming pond and the 4000 m² park with rose pavilion on lavender hill, small vineyards and places of energy can also be used as a photo and film Location.